Forget Airbnb. 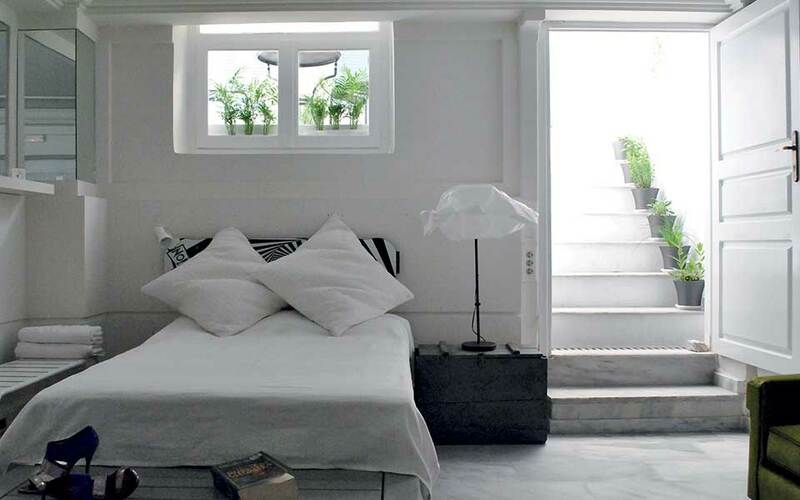 The unique buildings, imaginative restorations and energetic young staff of Athens’ boutique hotels will help you truly live like a local. It won’t be the first time I hear that line. On the surface, Athens’ latest hotel trend seems to be about size; small hotels have been popping up across town. Some have adopted the trendy “micro hotel” label, while others go with “inn,” “B&B” or “boutique hotel.” But what they all have in common, a factor more important than their size, is that they’re housed in old buildings, carefully renovated with respect to the history of each space. Compared to conventional hotels, they feature fewer rooms, but far more character and charm. 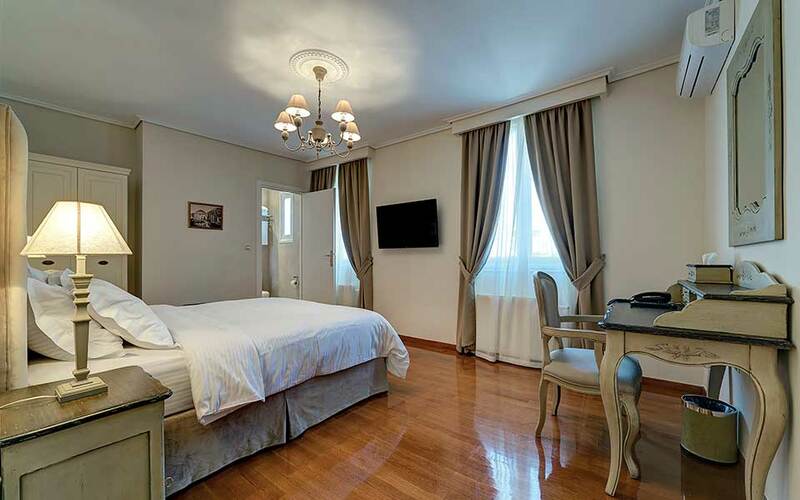 Situated near the ever-lively Aghia Irini Square, the rooms of the Perianth have been thoughtfully designed to echo the Art Deco style of the 1930s. Surprisingly spacious, they pair masculine features (industrial sliding doors and metal) with feminine touches (colors like Pantone’s Rose Quartz & Serenity). A delight for the eyes, they are a travel blogger’s dream come true. Consolas secured a historical building in the center, completed some minor renovations to create the four guest rooms, and decorated it with old, inexpensive furniture. In the backyard, you’ll notice a large marble table which he picked up for €20 and brought back on the roof of his car. Behind that is a wall covered with old window shutters, collected when the building across the street was being renovated. He named his new venture Alice Inn, after his grandmother Alice, and applied an Alice-in-Wonderland theme that’s cute, but not too in-your-face. It was a hit from the start. Feeling that you have nothing to lose can be a great catalyst for creativity. 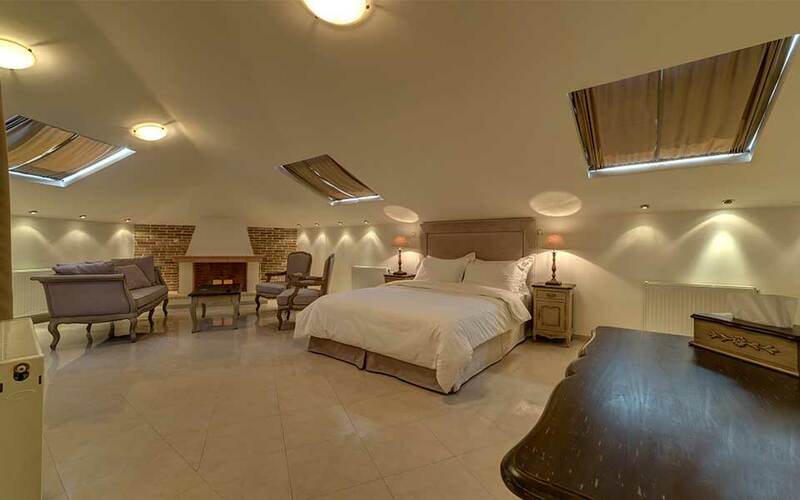 Today, Consolas and his business partner Ioannis Theodoridis also run JJ Hospitality, a vacation rental agency with a portfolio of historical villas and mansions for rent throughout Greece. 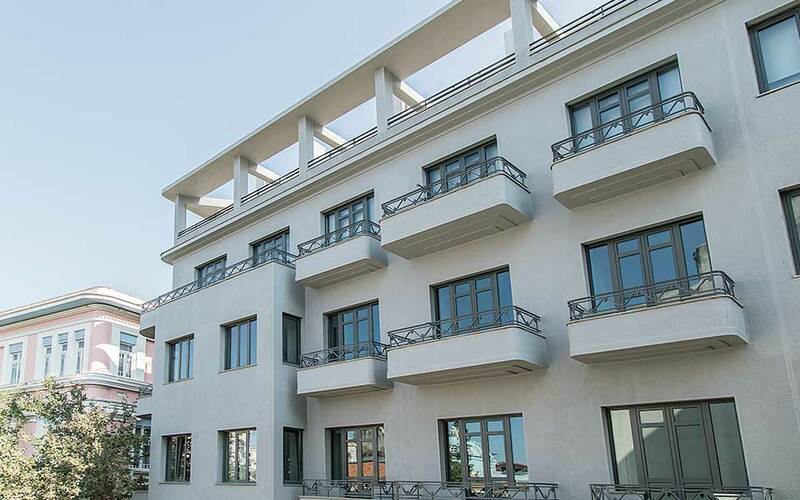 Many of the buildings which became available in the center lack some of the facilities you’d expect from a modern, purpose-built hotel; many rooms don’t have balconies or en suite bathrooms, for example, and they all needed new plumbing. But for every feature they lack, they provide something special that you can’t find in regular, cookie-cutter hotel rooms: local flavor. 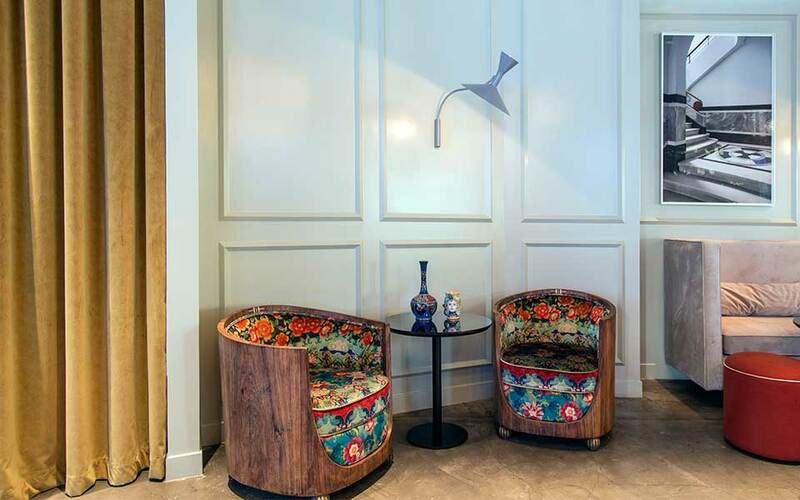 “When the economy was booming, hoteliers would spend without thinking,” Consolas says. “Their rooms ended up looking the same: minimalistic, high end and boring.” But today’s travelers have a growing desire to live authentically, like locals, so anything eccentric is a big bonus. A stone’s throw from the funky Alice Inn, services usually found at luxury resorts have been repackaged at the highly Insta-friendly Home & Poetry Hotel. Breakfast and dinner are served on the terrace, and staff can arrange yoga classes and/or spa treatments for you to enjoy in your room. 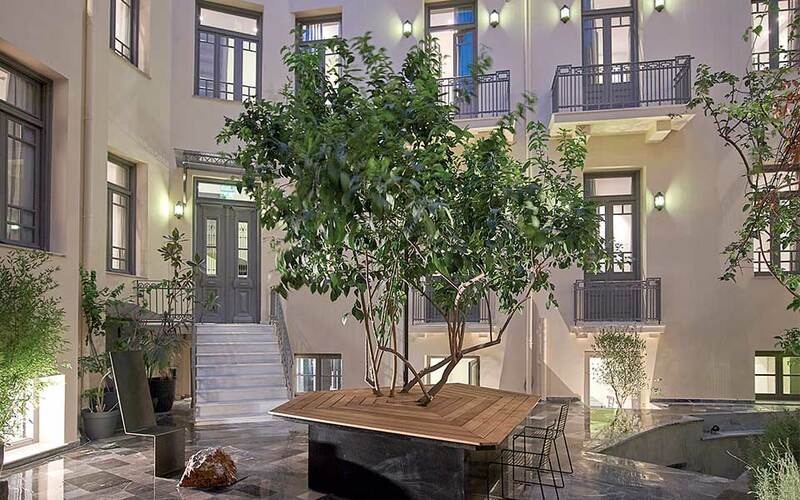 Home & Poetry’s elegant neoclassical 19th-century building had been home, since its construction, to the same Athenian family, who had kept it in such good condition that it required only minor changes to transform it into a hotel a year and a half ago. Walking up the creaking stairs and running my hand along the lacquered banister, I feel I’m going back in time. The 16 rooms are airy and elegant, and decorated with soft colors and vintage-style furniture. 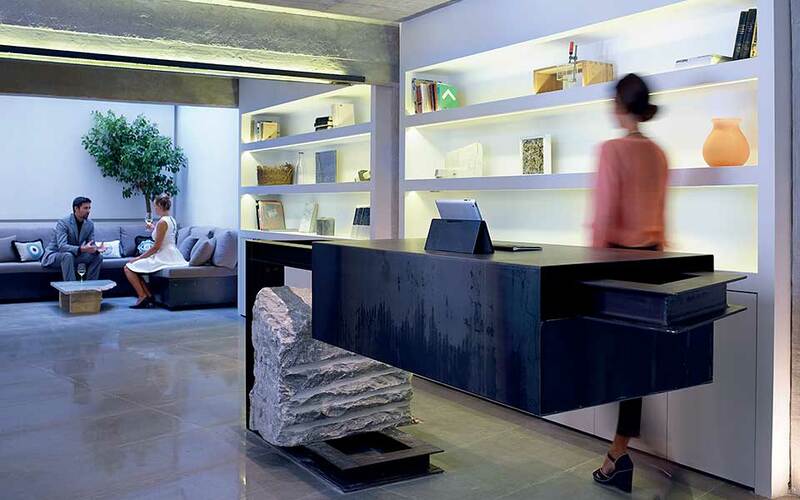 The feel is different at 18 Micon Street in Psyrri, where the reception and dining area resemble a trendy Athens café. Hidden behind a plain grey façade, it features industrial touches, like walls of cement, wood and brick (all actually wallpaper, but you’d never know without touching it), paired with distinctive pieces of furniture, such as the long, custom-built dining table. The morning when I visit, the table is set for breakfast, and a handful of guests greet each other and the receptionists before serving themselves treats from the red SMEG fridge and the small buffet. In the 1950s, the building was a warehouse owned by one of the city’s first tool merchants. Now, it features 15 luxurious, modern guest rooms, all in the minimal style of the reception, but personalised with individual touches. Later, as I’m enjoying an ice-cold juice in the courtyard of In[n] Athens, near Syntagma Square, manager Manos Konstantinou entertains me with stories about their building, which was turned into a hotel in 2015. It was built in the early 20th century to house Greek refugees from Asia Minor, but it’s had many other tenants since then. Today, each room is different, reflecting what the builders found when they peeled back the layers of paint on the walls. Some have stone walls, some feature bare cement. Konstantinou smiles as he recalls an American guest who arrived holding a picture of himself as a young man in bell-bottomed jeans, standing in front of the building, proving how little the building had changed since the ‘70s. As we speak, muffled construction noise reaches my ears from the building on the other side of the courtyard. 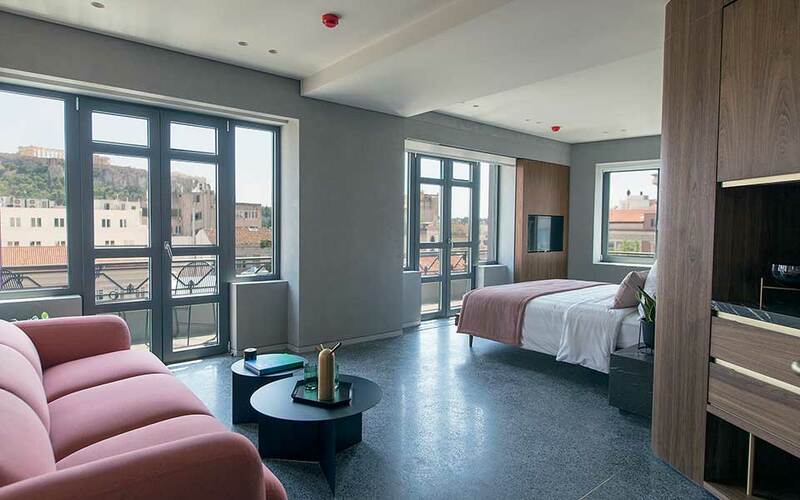 The hotel is growing, with 16 new rooms being created, all in the same style as the rest – sleek but with rough industrial elements – albeit perhaps a bit brighter, as dictated by current interior-design vogue. Some of the city’s micro hotels report a slight decrease in bookings compared to last year, likely due to many new, similar options having recently opened, satisfying – temporarily, at least – demand. Regardless, new guest houses keep opening up. Yiannis Alexiades, who showed me around the popular 18 Micon Street, believes there’s still room for many more. 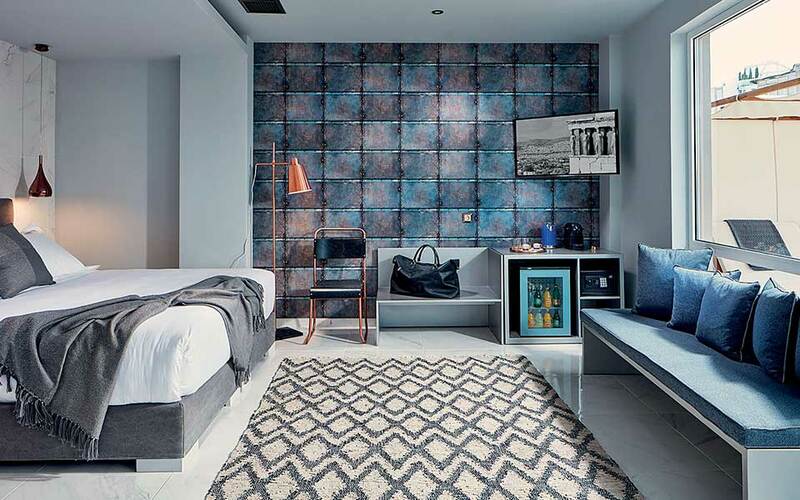 With their thoughtfully-designed interiors and great creative energy, I feel little hotels are more attractive than the identical rooms and crowded elevators of the hotel giants. Looking at trends worldwide, travelers seem to agree.